If you have been hit by a teen driver, or if your teenager was injured or killed due to their friend’s negligence, we can help. For teenage drivers, the risk of being involved in a car accident among 16-19-year-olds is higher than among any other age group. In fact, a teen driver is 3.7 times more likely to be involved in a fatal auto accident than a driver that is 20 years or older. The Hoffmann Law Firm, L.L.C. has more than 20 years of experience representing car accident victims in St. Louis. We understand how the age of the driver can impact a case. If you or a loved one has been hit by a teen driver or if your teenage daughter or son was a passenger that was injured or killed because of a friend’s recklessness, we can help. There is a reason why teenagers have higher insurance premiums. They are inexperienced at driving and tend to have inferior judgment and lower impulse control. In addition, the increasing amount of distractions due to technology has not helped reduce the rate of teen driving accidents. Teen drivers are more likely to speed and to become distracted by their phones or friends. They are also less likely to wear their seat belts in comparison to older, more experienced drivers. Teenagers are also at a higher risk of intoxicated or impaired driving due to the use of alcohol, marijuana, or other drugs. 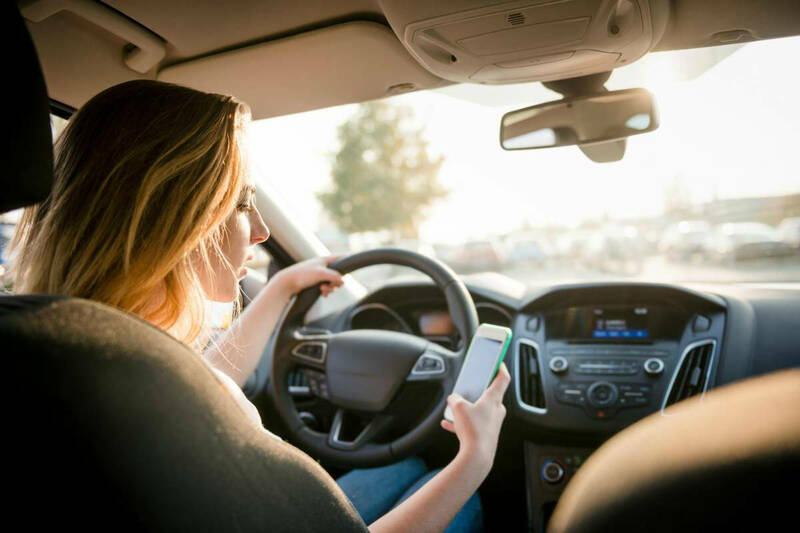 Because teenagers are more likely to text or use their cellphone while behind the wheel, our lawyers take great care in reviewing phone records and witness statements in these types of cases. The sad result of so many of these types of car accidents cases is that teenagers not only injure or kill themselves, but they injure other drivers or pedestrians as well. Every driver in Missouri must have car insurance with a certain amount of coverage. While the majority of teens are covered by their parents’ insurance policy, the parents themselves will likely not be liable for injuries or damage that results from their teen’s accident. An experienced St. Louis auto accident attorney can help you determine who is liable for any injuries you suffer due to a teen drivers recklessness or negligent driving. If you or a loved one have been involved in a car accident caused by a negligent teen driver, or if your son or daughter was a passenger that was injured or killed because of a friend’s reckless driving, contact The Hoffmann Law Firm, L.L.C. We are available 24 hours a day, 7 days a week. You can even contact us after hours to discuss your auto accident case. Call us today at (314) 361-4242 or fill out our online contact form to request a Free Consultation. Our St. Louis law firm is dedicated to getting the maximum compensation for injury victims in Missouri and Illinois. After a serious injury or the loss of a loved one in a car accident, you need to know that someone is on your side, protecting your rights and presenting an effective case to the insurance company. Without a strong advocate, you may not receive the financial compensation you need and deserve after being hit by a teen driver.